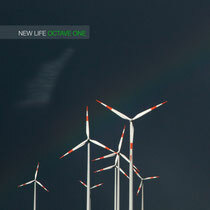 ‘New Life’ is the new soulful-techno outing from brothers Octave One. Armed with a pulsating bassline, driving beats and those signature O1 strings, ‘New Life’ carries a message of positivity sung by Atlanta vocalist, Afrika. Also featured on the package are remixes from Unscubscribe (aka techno legend Dave Clarke & Mr Jones), who flip over to the dark side, weaving an intense techno tapestry of menacing synths and slamming beats. Different World (aka Claude Young & Takasi Nakajima) finish the release on a euphoric note, drizzling the track with piano and strings. The video shot in Madrid, Spain, was directed by STEEL5000 and Martín García Blaya of W0RKT34M, whose choice theme for the video was synchronised swimming because of its sheer beauty and strength. It also includes some fantastic divers who were discovered whilst training at the same venue - Centro de Natación Mundial 86. The talented stars on the video are young Madrileños from Madrid's Swimming Federation (Federación Madrileña de Natación), dedicated athletes that form part of the Centro de Tecnifición, a national Spanish program to create future athletes. Octave One - New Life (Official Video HD) from 430 West on Vimeo. 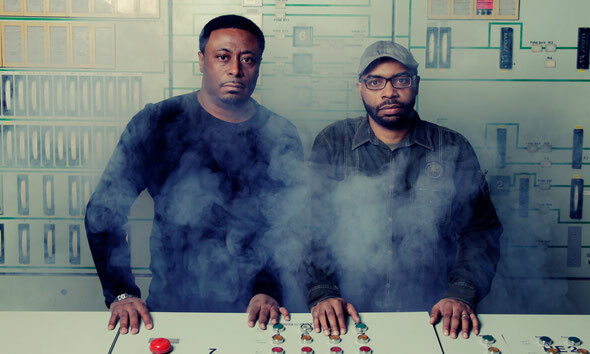 Octave One is the brainchild of the native sons of Detroit, MI (USA), the Burden Brothers. The core unit of the band, made up of Lenny and Lawrence Burden (with revolving members of Lynell, Lorne, and Lance Burden), have had the privilege of taking their high energy live shows all over the world. 2000 saw Octave One release the anthemic 'Blackwater'. The massive hit appeared on over 30 compilation albums worldwide (with sales of over one million). Afrika (aka Lana Fallon) is a versatile vocalist hailing from Atlanta and has previously worked with the likes of Tupac, OutKast and Curtis Mayfield as an engineer back in the day, but now shines as a singer in her own right! Check the video, it’s out October 8 on 430 West Records.